8,500 – 10,000 SHU Aprox. 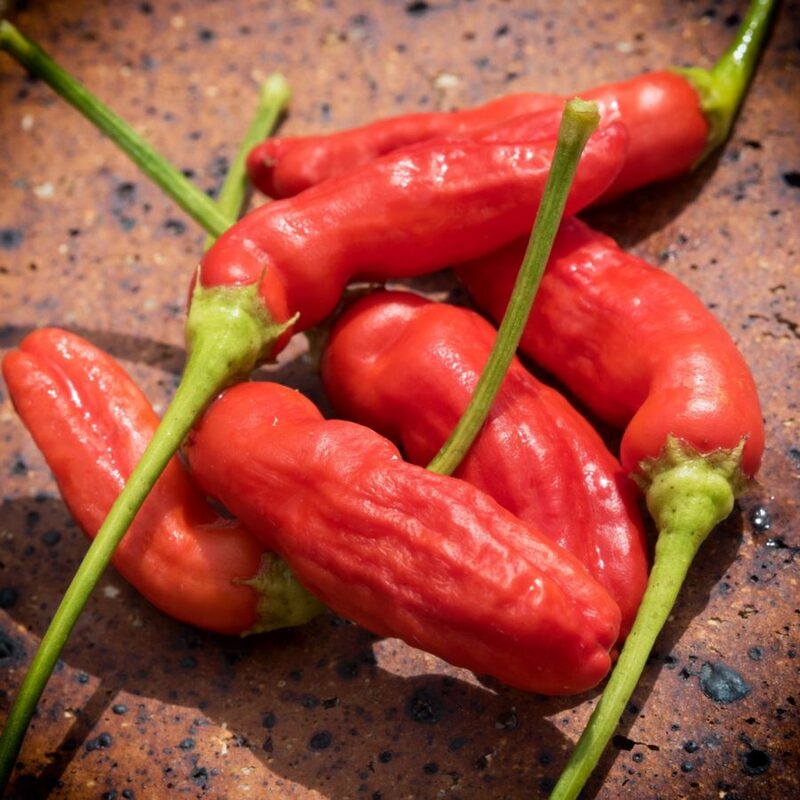 Well again we have a interesting cool variety that clearly is shaped like its name – the Aji Peanut chilli pepper. A very uncommon baccatum variety we came across that got our attention. The mature fruits look quite like a peanut shell and are deep red in colour. 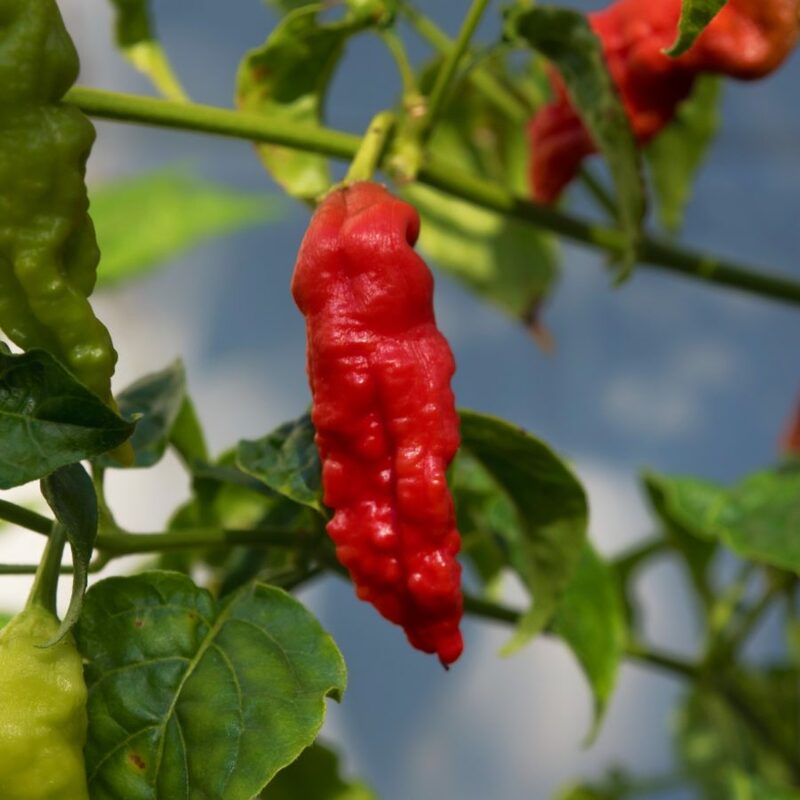 Hot enough to get your attention with the plant growing a bit gangly at 60-80cms tall. Take your time to warm to this one but be assured it’s a great producer and easy maintenance. We recommend you give it a crack.